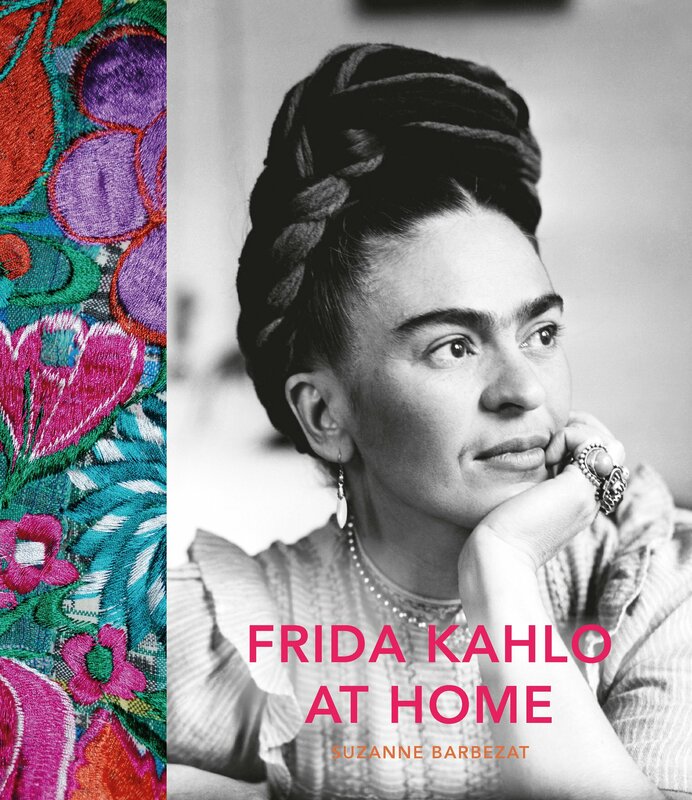 Frida Kahlo at Home explores the influence of Mexican culture and tradition, La Casa Azul and other places Frida Kahlo called home, on her life and work. La Casa Azul, now one of the most visited museums in Mexico City, was the artist's birthplace and the home where she grew up, lived with her husband Diego Rivera for a number of years, and also where she died, in a room on the upper floor. She spent long periods of time in the house convalescing, first in 1918 when she contracted polio and again, at the age of 18, after the trolley accident which left her badly injured. Confined to her bed in casts and orthopedic devices and in constant pain and discomfort, she began to paint as a way to occupy her time. After marrying Rivera, Frida moved out of the Blue House, living in Mexico and abroad, moving for a brief time to the United States, until eventually returning to her childhood home.